This paper reports the findings of a longitudinal childhood resilience study which investigated the relationship between resilience-related beliefs and positive child development. Three waves of data collection (T1, T2, and T3) were completed in January 2005, July 2005, and January 2006 with a sample of 843 grade 4 pupils, drawn from six primary schools in Hong Kong, and their parents or guardians. At T1, parents/guardians responded to a 24-item inventory of life adversities affecting their children since birth; at T1 and T3, they completed a 25-item Parental Assessment of Child’s Habit, which provided parental evaluation of children’s performance at home and in school. At T1, T2, and T3, children responded to a 58-item Child and Youth Resilience Measure, a 9-item scale on Chinese cultural beliefs about adversity, and an 11-item Chinese Resilience Measure for Children and Adolescents in Hong Kong. Regression analyses, based on linear mixed models, controlling for gender, T1 and T2 scores, personal variables, and random effects of schools, were conducted to test and validate the hypothesis that children’s resilience beliefs are predictive of positive child development, and that this predictive relationship is stronger with increasing adversity in children’s lives. Implications of these findings for the development of resilience-based interventions to enhance the quality of life of children facing adversities are examined. 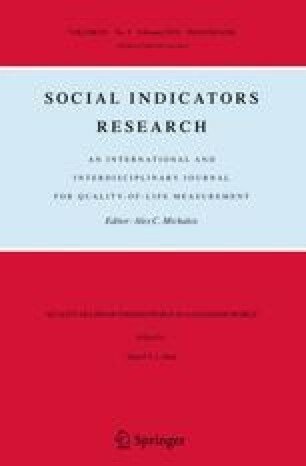 An earlier version of this paper was presented at the International Conference on Human Development and the Environment: Advances in Quality of Life Studies. December 12–13, 2008, The Chinese University of Hong Kong, Hong Kong S.A.R., China. The work described in this paper was fully supported by a grant from the Research Grants Council of the Hong Kong Special Administrative Region, China [Project No. (RGC Ref. No. ), CityU 1318/04H]. The authors wish to thank Wong Ying for her assistance in collecting the data. Coyle, J. P., Nochajski, T., Maguin, E., Safyer, A., DeWit, D., & Macdonald, S. (2009). An exploratory study of the nature of family resilience in families affected by parental alcohol abuse. Journal of Family Issues. doi: 10.1177/0192513x09339478.